Design for a high-end custom single family home in the suburbs of Philadelphia, PA. This massive home includes 5 bedrooms and 4.5 baths, 2 of which are en-suites. Enter though the formal foyer with marble floors into the 2-story great room, complete with fireplace. Pass through the breakfast area into a gourmet kitchen & formal dining as you make your way to the sunroom. With plenty of exterior space including large deck & patio, this house has it all when it comes to outdoor living & entertaining space. 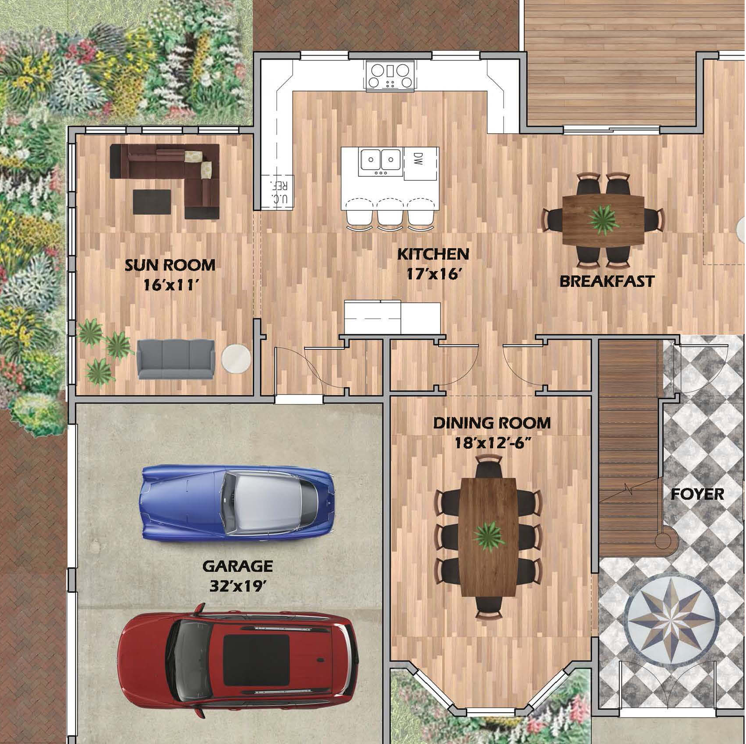 A 3-car garage competes the equation, providing plenty of room for car / recreational equipment. The exterior of the building features a rich combination of stone, slate, plaster & copper; reminiscent of the look of surrounding older estates & mansions in the area.